Traveling and vacationing with pets can be difficult when it comes to finding places to stay in the Finger Lakes region. Standard motels often have no-pet policies and those that do may not be quite what you are looking for. People choose to travel with their pets due to lack of comforting boarding facilities, their pets’ reaction to boarding, and the fact that our dogs (and cats) are our family. Why shouldn’t they enjoy a family vacation with the rest of us? Skaneateles is a beautiful, quaint village on Skaneateles Lake in the Finger Lakes region of Central, New York. Our location provides easy access to many points of interest, events, activities and pure relaxation. 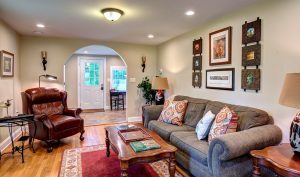 Finger Lakes Vacation Rentals has been providing luxury rentals to locals and tourists alike as they enjoy all the area has to offer and can relax and spread out in one of our beautifully appointed properties. If you are traveling with your family pets, we have a lovely property that is pet-friendly and simply perfect for your Skaneateles vacation rental this year. It’s hard to believe, but with Spring in full bloom, summer will be arriving and school will be out before you know it. This is the perfect time to reserve your family vacation with us and have the most memorable time in the Finger Lakes. This beautiful three bedroom, two bathroom, pet friendly, newly renovated luxury home is on Main St. right across the street from the famed Mirbeau Inn and Spa and Rosalie’s Cucina. The beauty of this property is the fact that it is just over the village line in the township and we can legally rent for less than 30 days. The best part is that the entire village and beautiful Skaneateles Lake is right in front of you! By simply taking a short walk you can start shopping in all of the wonderful boutiques or have breakfast, lunch or dinner in all of the fantastic dining choices within the village. The lake is only a 5-10 minute walk if you want to sit by the water and relax and read a book, swim or fish. Everything is at your fingertips! The property itself has been newly renovated throughout and newly decorated in a refined and luxurious cottage style. It has three bedrooms and two full bathroom. The third bedroom was just added and completed in April 2017. The kitchen has top of the line appliances and granite counter tops. For our guests that enjoy the outdoors and also their pets, we have a large beautiful privacy fenced backyard and a spacious deck. There is also a spacious driveway with off street parking for up to 5 vehicles. Our guests have found this property to be accommodating, comfortable and a great way to spend their vacation with their pets. We have been to this lovely house in spring and fall several times over the past few years and always enjoy our visits. 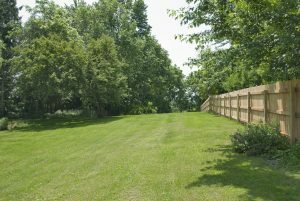 The relaxing country setting, beautiful views and comfortable, right-at-home ambiance, as well as the close proximity to the village, keep us coming back, and it is so nice to have a fenced yard to enjoy with our dog. The deck is also perfect for a barbeque, and the well appointed kitchen is so nice to relax in over a meal or coffee and fresh doughnuts from the bakery. This charming house has all the amenities any visitor could ask for. We look forward to returning soon. We’ve rented quite a few vacation homes and this one is, by far, the most comfortable one we have visited. Comfy chairs, bed, yard! Everything you need is provided. The deck is huge, nice big patio set. 10 minute walk to the village and lake on shaded sidewalks. We really appreciate that our dog is allowed, it makes going away easy. The yard is huge, fully fenced in. Can’t wait to book it again! Skaneateles is a fantastic place to visit. It was great to be back in this lovely home. The newly-added main floor bedroom is spacious and comfortable and very nicely finished, and we love the beautiful decor throughout the home. The house sits in the perfect country setting with lovely views of trees and blossom, and as always, we enjoyed spending time in the house and back yard, as well as enjoying the walks to the lake. We are on our way home and already talking about our next visit! When it’s time for you to plan your vacation this year, look to Finger Lakes Luxury Rentals to provide you one of the best places to stay in the Finger Lakes. Bring your best four-legged-friend and enjoy all this beautiful property has to offer. Reserve your rental property now and we will look forward to meeting you soon! Reservations may be made online or you may call us directly at (315) 317-8200. Previous Previous post: Luxurious Three Bedroom, Pet Friendly Home. Walk to Village!